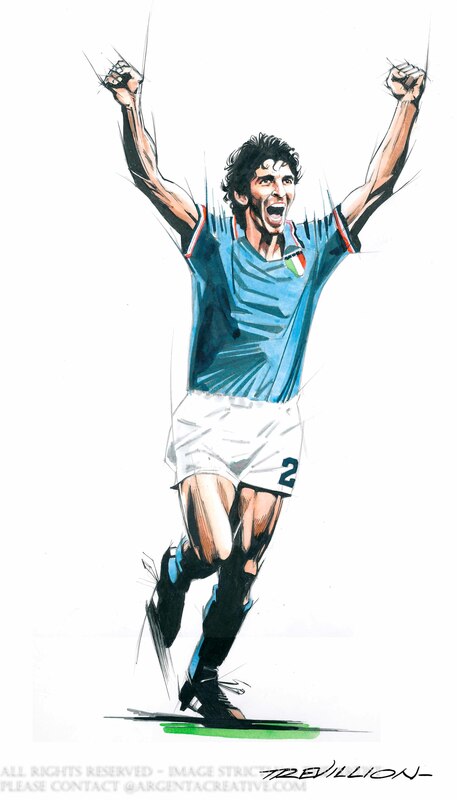 Paolo Rossi led Italy to the 1982 FIFA World Cup title scoring six goals to win the Golden Boot as the top goal scorer and the Golden Ball for the player of the tournament. Rossi was also awareded the Ballon d’Or as the European Fottballer of the Year. Rossi played his domesic football for Juventus and went on to win Serie A titles, Coppa Italia , Uefa Cup Winners Cup, Uefa Super Cup and the European Cup. Rossi is regarded as one of the greatest Italian footballers of all time.